We know that since the beginning of time God has sent what we call “natural disasters” to wipe out sinners. 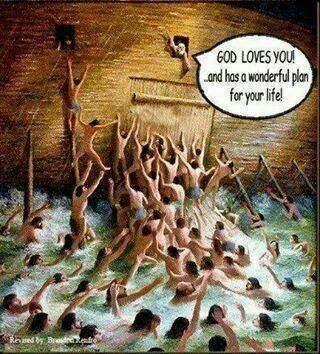 He did it with the sinners during Noah’s life, a flood, and has done it regularly ever since. In more recent history, we have seen various messages from our Heavenly Father commanding us, “Stop sinning or I will harm you.” God has sent hurricanes, floods and now fires. This all got me to wondering if different kinds of disasters reflect different thinking by God? That is, might we learn from the punishment He sends down? Which group of sinners most angers Him? To me, fires reflect the highest level of God’s anger. I don’t think there is any way of killing sinners more painful than in fires. We can see many floods and hurricanes happen in the Bible Belt. God sends these mild forms because good people will leave sin behind them. He saves the biggest more horrific killing machines, fires, for areas dominated by homers. That is why there are fires today in California.